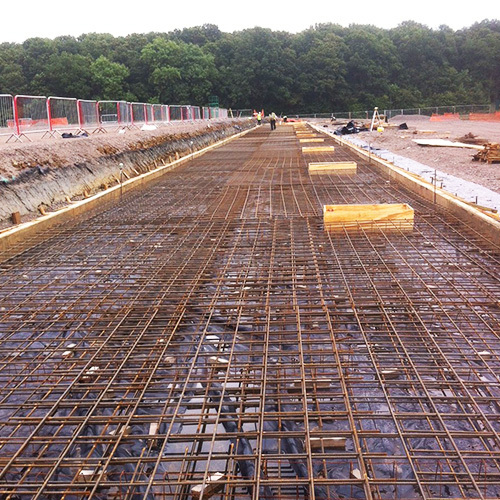 Larger schemes and projects can require significant amounts of civil engineering works in addition to standard roads, sewers and groundworks Carmac have now many years of experience in major ground remodelling, ground remediation, balancing ponds, dual carriageways, roundabouts, bridges, underpasses, culverts, and retaining structures. 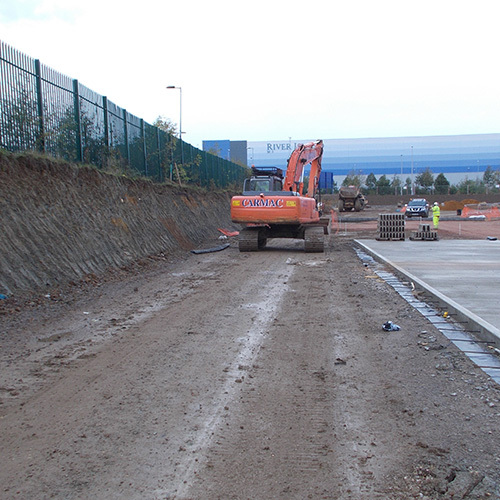 We have successfully carried out multi million pound projects within very tight programme constraints. With our ability to provide the high levels of plant and labour required to carry these types of projects. We are an approved contractor for many local authorities and water authorities, we have extensive knowledge and experience in the construction of new adoptable roads and sewers and also in the reconfiguration of existing live roads, we carry out this work under the supervision of our own appropriately trained street works accredited supervisors. We are able to take this type of project from inception to final adoption, incorporating all necessary liaison with the relevant statutory authorities. We are often designated as principal contractor on this type of work. 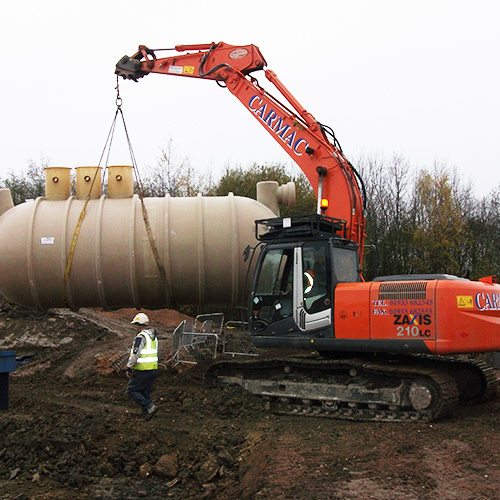 Carmac construct over 300 engineered house foundations yearly, together with the associated drainage, services, external works and landscaping associated with a housing estate, we are also able to incorporate other works such as pumping stations, rising mains and street lighting within our works. Carmac have extensive knowledge and experience working within the commercial sector, and have successfully carried out multi million pound projects such as large distribution centres for John Lewis, A G Barr, Asda, Argos, Young’s Brewery. We have also carried out numerous student accommodation units in Nottingham, Birmingham and Brighton. We have carried out a number of large bakery redevelopments in West Bromwich, Walthamstow, Stockport and Stevenage, these have included replacement of all concrete floors with power floated sealed flooring systems, foundation for new steelwork, replacement drainage and external works the value of which is in excess of £ 8 million. We have worked for a number of contractors on various projects for clients including Williams Formula 1, The Royal Opera House, Lidl’s, and City Link, Slough Borough Council, BMW, Western Power, NOM Dairies and numerous others.